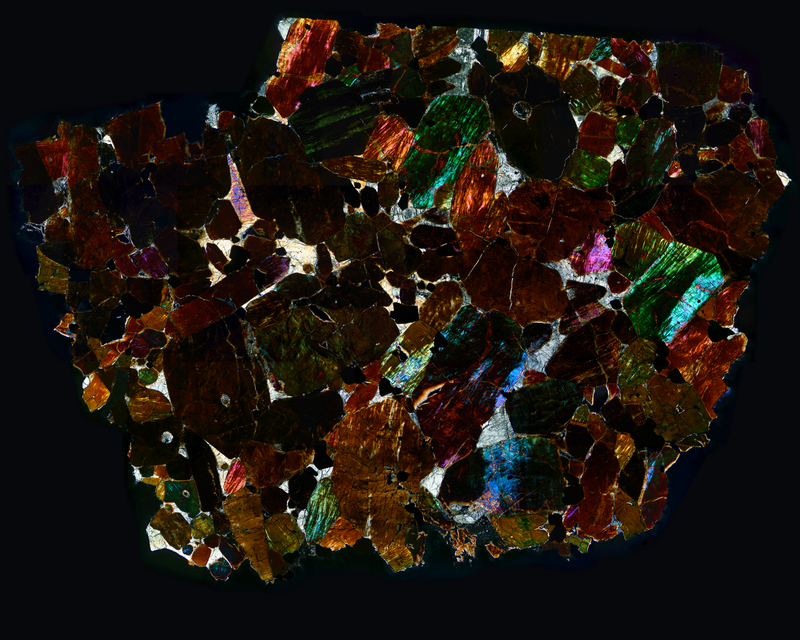 Stunning thin section of the chassignite NWA 2737. This cross polarized view of one of the rarest Martian meteorites captures a scene on the surface of the Red Planet of intense violence. The brownish coloration of the olivine results from the influence of intense shock pressures. More details at Meteorite Studies. Additional photomicrographs of this thin section at Meteorite Thin Section Gallery.